I also recommend reading about the program that I am practicing, Be A Programmer Challenge, here. Why this is the Course for You? I mentioned earlier that this is one of the best resources to learn web development today and yet it is not free, sad to say. But the good news is, it’s not only that I am posting a review for this course today. I will also give away free resources from this course (on this blog) through my posts starting this one. By the way, the course mentioned is developed by a real development Bootcamp instructor named, Colt Steele. You can get the course directly on Udemy, so go ahead if you want to check it out. It’s kinda cheaper than what the value has to offer. FYI. This is not an affiliate post. I just like to share what I believe the best resource at the best value available online that I tried myself. But as what I always do recommend if you’re just starting out as a complete beginner in programming and doubting to get started throwing some cash on your way, you can go ahead, learn for free at TeamTreeHouse.com. 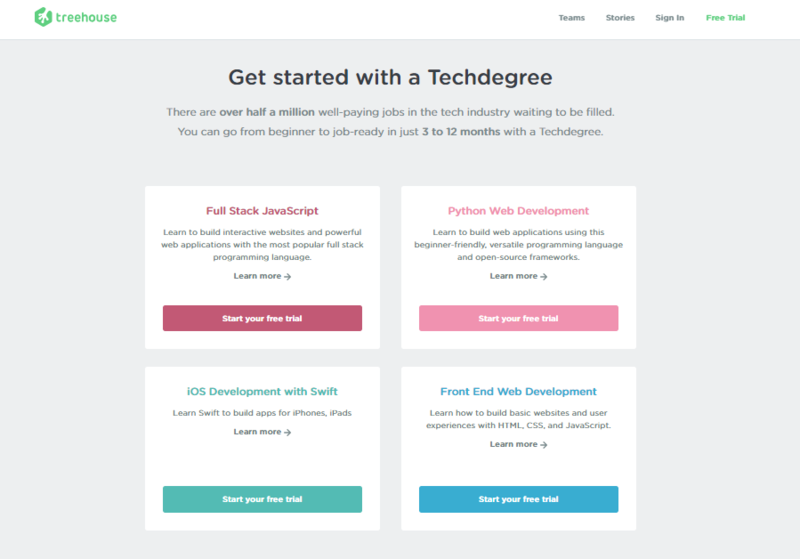 They have tons of resources to get you started with Software and Web Development or Programming for free. According to Udemy, The Web Developer Bootcamp online course is a bestseller with 4.7 starred ratings with 310,223 students enrolled as for the moment. It’s a complete package in one buy. Like an all-in-one package. And what I like most about this course is that it have an active community of students and great support that would help you to push through beyond the success of your journey in the long run. You can also download the Course Syllabus here. I’m sure you’ll love this course as well as I am loving it. If you’re still doubting to enroll now, you can proceed with joining for the better course and best choice for aspiring programmers that I extremely recommend which is the teamtreehouse learning community. And guess what? it’s totally free. And since I’m a kind and an awesome girl, I am giving away a free version of the course as what I’ve mentioned earlier in this post. And if you’re interested, just follow the instructions in the following context. First, please do subscribe for a trial course at teamtreehouse.com for free. Subscribe to my Newsletter here to get the free learning resources straight to your inbox. Like my Facebook Page to quickly get notified for real-time updates here. Join my Facebook Community to get along with like-minded individuals here. And lastly, email me about your request to get the free version of the course when you’re done with all the instructions that were mentioned. Also, you would really want to follow all the instructions above to be able to get not only the free version resources but also the premium ones, since I will be giving it away here, on this very blog, along with my new posts further in real-time. There you have it. Hope this helps. I’m excited to get more aspiring programmers in the community. P.S. I likely have an addiction uploading my laptop photos these past few days. Hope you like the view, not only the technology but as well as the place which I had the vacation with the last weekdays.